With Cape Town rated as the top destination for 2014 by the New York Times earlier this year – ahead of LA, the Vatican and the Seychelles – it is only natural that visitors want to know just what it is Cape Town has that other cities don’t. Every month join those who scale Lion’s Head to watch the moon rise over the distant Hottentots Holland mountains. 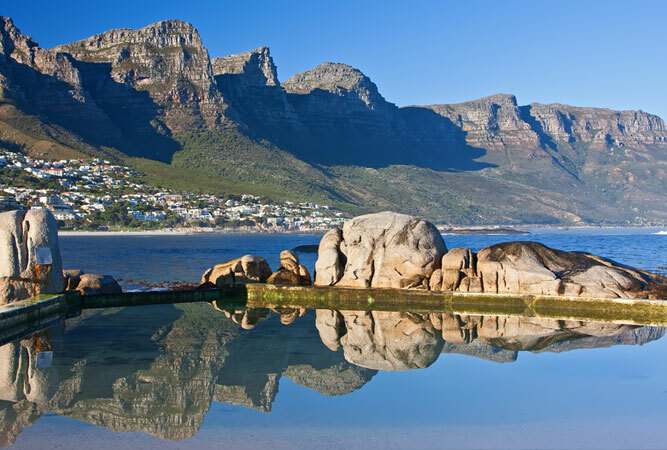 Expect incredible views over Table Mountain, the Twelve Apostles, the Atlantic seaboard from Oudekraal through Bakoven, Camps Bay and Clifton to Sea Point, the City Bowl and Table Bay. It will take you about an hour and a half but there are chain ladders to help you with the scramble. 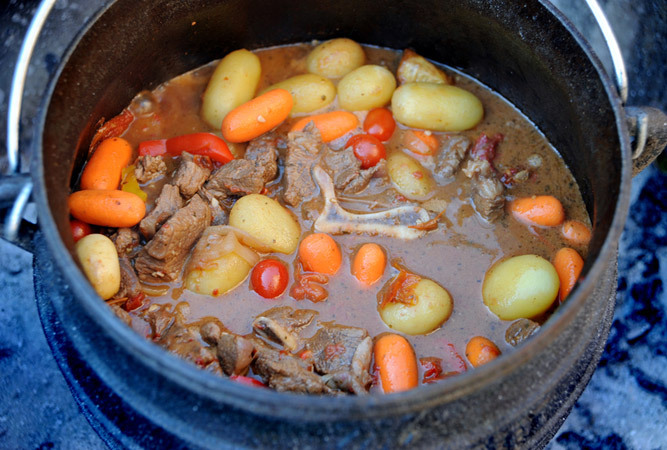 Potjiekos, or ‘small pot food’, is a traditional Afrikaans stew made from meat and vegetables prepared in a cast-iron pot outdoors over a fire. It is just one of the foods you have GOT to try when in South Africa. A number of restaurants have this on their menu (Quarterdeck Restaurant at the V&A, Af ‘n Plaas in Stellenbosch, Mojo Blouberg in winter). Most visitors head to South Africa to enjoy a wildlife safari. But in Cape Town Andulela offers a Fairtrade tour to experience the essence of Cape Malay in the Bo-Kaap. The encounter includes a guided walking tour, a visit to the Bo-Kaap Musuem and a cooking workshop. Learn about Cape Malay koesisters, the milky drink falooda, how to know spices by smell, and how to make rotis. The Toyota Cressida, in the form of battered taxis, is alive and well in Cape Town. It may have been discontinued over 20 years ago but a series of them operate beneath the radar, and without permits, in the townships. They’re known as cockroach taxis because they ‘don’t die’. Township shacks are cobbled together from tin sheets, wood and plastic. Some, if built by the government, are made of bricks. A stay in one of these reveals the ‘other side’ of the contradiction that is life in South Africa. Go on an authentic township walking or cycling tour (Liziwe’s, Cape Township Cycle and Cape Care Route, among other operators, offer tours) and stay in a township B&B. 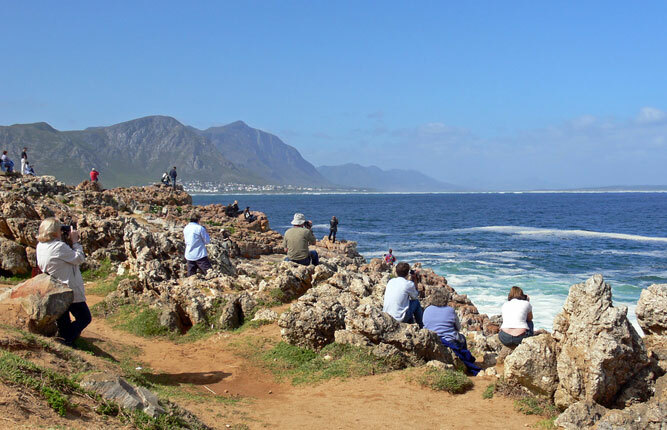 Although the False Bay side of the peninsula is not officially the Indian Ocean (the two oceans meet further up the coast at Cape Agulhas), there is a very obvious difference in water temperature when compared with the ocean on the Atlantic Seaboard. The two seas are a different colour and temperament as well – False Bay tends to be calmer. Though not strictly Cape Town the little country town of Darling is but an hour’s drive up the West Coast to Evita se Perron, home of Tannie Evita Bezuidenhout the most famous white woman in South Africa. Pieter Dirk Uys, the outspoken political activist who uses satire to keep the country in check, performs at his dinner theatre on the old Darling railway platform. With restaurants like The Test Kitchen (recently voted the Best Restaurant in Africa and 46th out of the 50 best restaurants in the world) at the Old Biscuit Mill in Woodstock, La Colombe at Constantia Uitsig Wine Farm, The Pot Luck Club (award winner at the 2013 Eat Out awards), Aubergine, 95 Keerom, and Burrata (also at the Old Biscuit Mill and voted the best Italian Restaurant in the country) it’s no wonder Cape Town is considered the foodie capital of South Africa. Europeans are used to island-hopping by ferry – Greece, Croatia, the United Kingdom to Jersey and Guernsey, Sweden to Gotland – but Cape Town’s Robben Island is at once smaller, and particularly unusual given its history as both a leper colony and prison for nearly 20 years to Nelson Mandela. Ferry rides to visit the island leave the V&A Waterfront daily. One can sight whales from land in the Hebridean Islands, Chanonry Point near the mouth of the Firth in Inverness in Scotland, Bilbao in Spain, Country Cork in Ireland and the hills above Tysfjord in Norway (amongst other places) but you will also find one of the most celebrated land-based whale watching sites in the world at Hermanus (just an hour-and-a-half from Cape Town). Beautiful cable car rides up a mountain are not as plentiful as you might think. Cape Town’s Table Mountain ride easily ranks when compared with Switzerland’s Grindelwald-Männlichen gondola Cableway in the Alps, and Spain’s cableway in Picos de Europa National Park. More than 800 people can enjoy the trip up Table Mountain every hour. 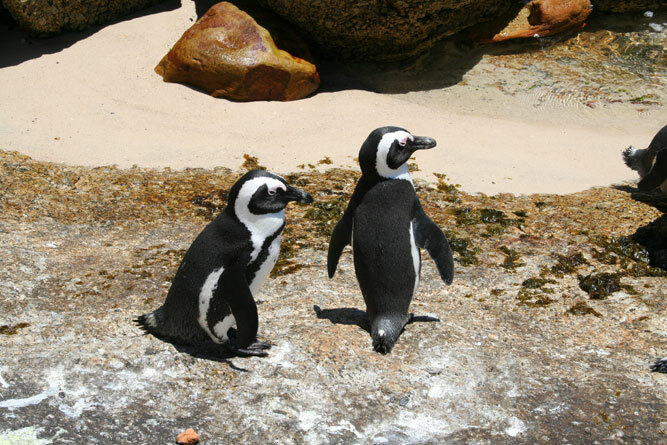 You might be able to swim with penguins in a swimming pool at the Spreewelten water park in Lübbenau, Germany, but at Boulders Beach the penguins selected this landbased beach as a colony themselves. Swim in amongst them in the sea, but consider that you are their guests. London’s giant Ferris wheel on the South Bank of the River Thames is regarded as the world’s tallest cantilevered observation wheel. Cape Town has its own Big Wheel of Excellence that, although not vaguely built to the same dimensions, nonetheless has 30 fully enclosed cabins from which to view 360 degree views of the cityscape.